Camp La-No-Che is your home camp! We want your Pack, Troop, Crew, Ship, and/or Post to use camp as often as you can…you are always welcome. We have campsites, activity shelters, pools, and ranges available for weekend use. Click the “Reserve Camp!” button below to book your next weekend adventure at camp! Camp La-No-Che also hosts special weekends throughout the year for units to take their program into the great outdoors with unique staffed programs. 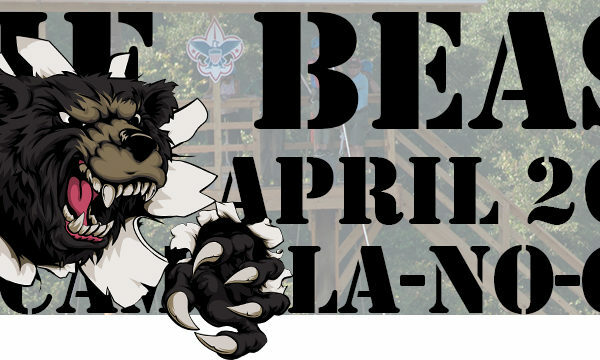 By clicking the tabs “Cub Scouts,” “Scouts,” or “Venturing, Explorers & Sea Scouts” you will view the events specific to those programs. For these events to run as smooth as they do, we need units to volunteer to help us. Units who volunteer will camp for free, receive meals Saturday and Sunday, and will earn volunteer hours. This provides a great opportunity for Scouts to help other Scouts. If interested – please sign up!